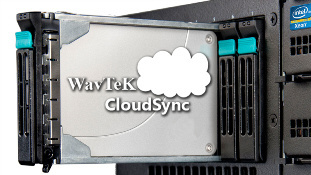 WavTeK CloudSync | Technology, At the Speed of Life! 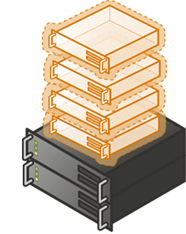 We provide a offsite near real time backup service based on a sync agent and WEBDAV called CloudSync. 1. You are you a small user or company with laptops and making due with solutions like Google drive and Dropbox or USB drives but afriad to have your private data in their hands or are hit by HIPPA requirements that prevent using unsecured backends. 2. Your a small business that is tired of backup tapes and usb drive but need a reliable daily backup without the worry. 3. You have no idea if your backup is working or if its backing up what it needs to. With our CloudSync Service we can get you fully covered and secured. our service Includes a professional overview and configuration of your initial backup so we can be sure your have what you need when you need it. CloudSync can help your organization comply with new HIPAA regulations: And secure your patient data. only secured connections utilizing at least 128-bit encryption are enabled. prevents HIPAA-compliant accounts from becoming jeopardized. to all rooms. In addition, each server system is located in a secure cage. secured facilities without being encrypted. In addition to web based file access and local client access in the event of a disaster or major failure you can pick of your data locally at our offices making massive downloads not necessary when your need your business back online FAST! proper removal and care of any health data as necessary. to our servers from the client.